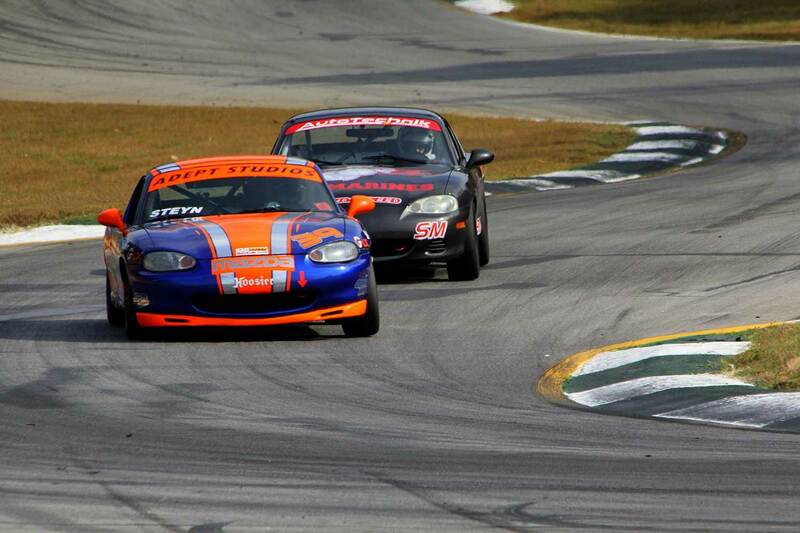 Danny Steyn and Cliff Brown enjoyed a friendly but intense on-track rivalry, and they have been the two dominant Spec Miata drivers at the American Road Race of Champions that is held at Road Atlanta each year. 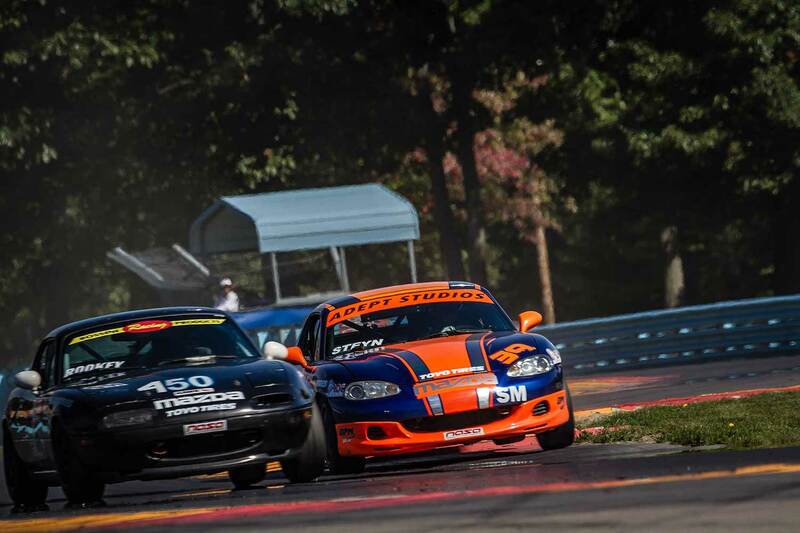 Steyn has three Spec Miata titles and Brown has two, and going into the weekend it was always going to be an interesting shootout between the two. Unfortunately it was not to be. Brown suffered mechanical gremlins all weekend and was never really a contender. 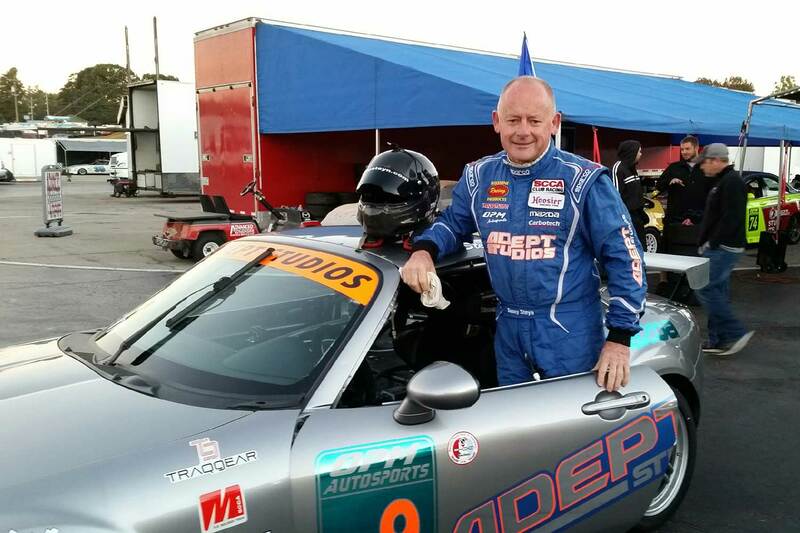 In the first qualifying session Steyn put his OPM built, Rossini powered Spec Miata on the pole with a time of 1:43.683. Rossini team mate Michael Carter was 2nd and Paul Holton 3rd. Brown was back in 7th place. 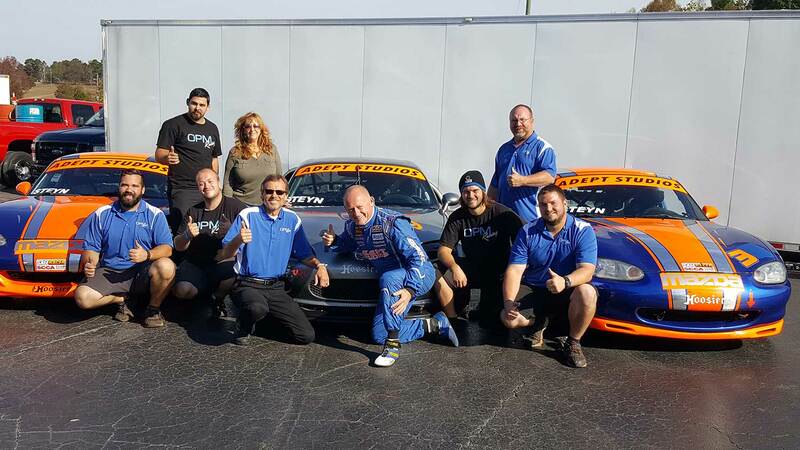 In the 2nd qualifying session Jim Drago was fastest with a time of 1:44.165, followed by Michael Cottrell, Carter and Steyn. Brown was back in 8th again. In the feature race, Paul Holton gave Steyn a great start getting the two of them through Turn 1 ahead of the pack. Exiting out of Turn 7 the order was Steyn, Holton, Carter and Drago. Drago got past Carter going into T10, but across the line at the end of lap 1 it was Steyn, Holton, Drago and Carter. Coming out of T7 Drago pushed Holton past Steyn with Carter in 4th. Steyn got past Holton coming into T3, and Carter followed shortly. The Carter and Steyn worked together to chase down Drago but despite drafting and working together, they were unable to make a dent on the gap, and at the line it was Drago first, Steyn 2nd, Carter 3rd. 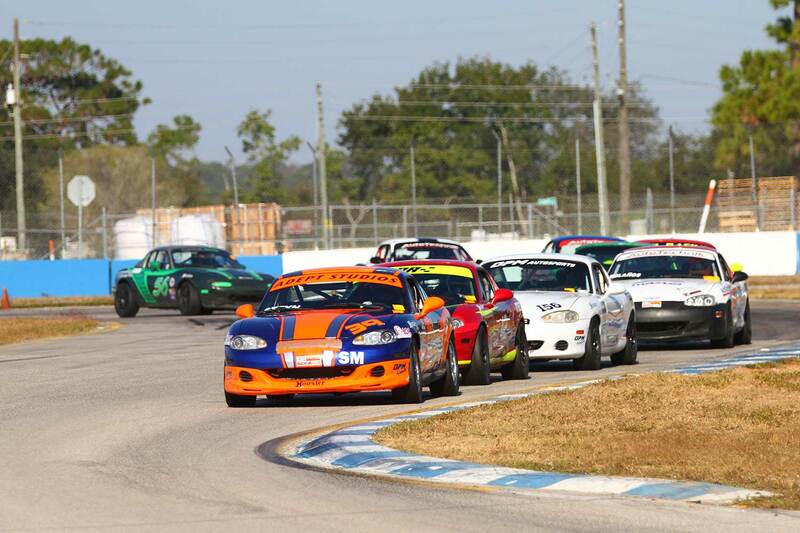 This was Steyn’s 6th ARRC Spec Miata podium. 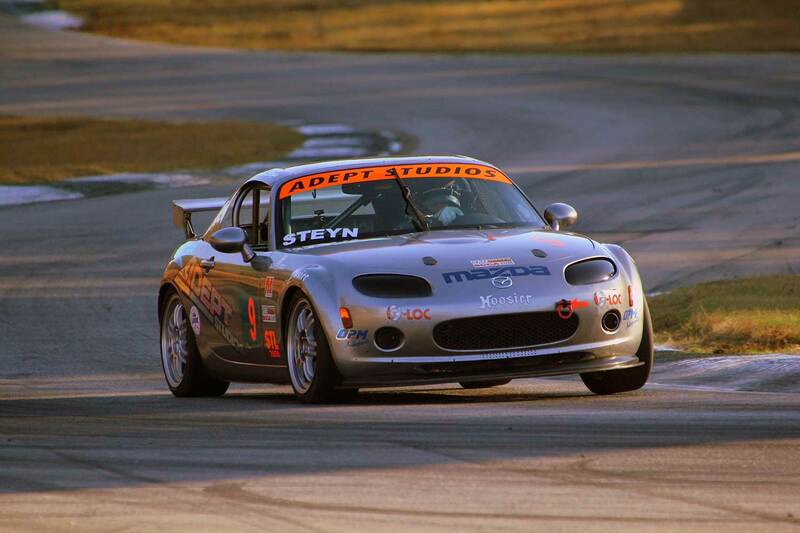 Earlier in the day in Group 1, Steyn went out with his Mazda MX-5 and decimated the field by over 30 seconds and set a new Road Atlanta Lap Record of 1:37.113 in the perfect weather conditions. That makes it Steyn’s 5th ARRC title, comprising 3 Spec Miata titles, one SM-X title and one STL title. And to make it more memorable, Steyn entered five sessions and qualified has car on pole for all five! The first three laps of the 2016 ARRC STL race where Danny Steyn sets a new Road Atlanta Lap Record in STL of 1:37.113!